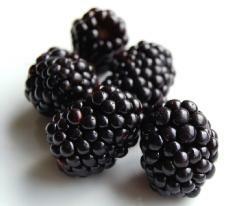 LONDON: A study has found that black raspberries may help prevent bowel cancer. Scientists found that a freeze-dried version of the fruit could reduce the number of tumours in a strain of mice prone to the disease by 60%. Previous research had indicated that black raspberries 've antioxidant & anti-cancer properties. In the study, the fruit inhibited tumour development by suppressing a protein called beta-catenin. The study leader Wancai Yang from the University of Illinois in Chicago said that they saw the black raspberry as a natural product, very powerful & easy to access. Scientists saw a broad range of protective effects in the bowels of the mice that were given the supplement.